According to different sources Apple are enjoying some breathing spaces in tablet war as they might have sold 24-25 million iPad in last holiday season. Both Munster consensus and Fortune magazine published pretty much the same figures so we can take these numbers in to account. Another good news for Apple is many analysts believe that Apple could have sold even more iPads had it not been for the shortage of retina displays for the iPad mini. Keep in mind that the iPad air was released in November 2013. So the number could be even bigger if they release it two months earlier. This is also the indication of good Q1 2014 sales figure for Apple iPads. 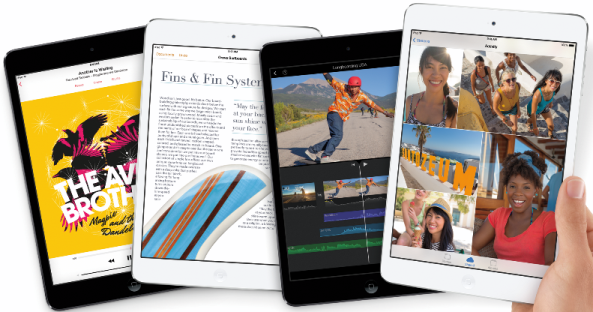 Consumer Intelligence Reports released info that indicates the even though the iPad air has been outselling its larger counterparts, the first generation iPad mini is still the king, outselling the air by 9%. Apple will release the sales volume officially on January 27. The same firm also believes that the price of iPads are expected to rise, which does seem like a bold claim seeing as Apple’s tablet’s cost has only fallen since its release.